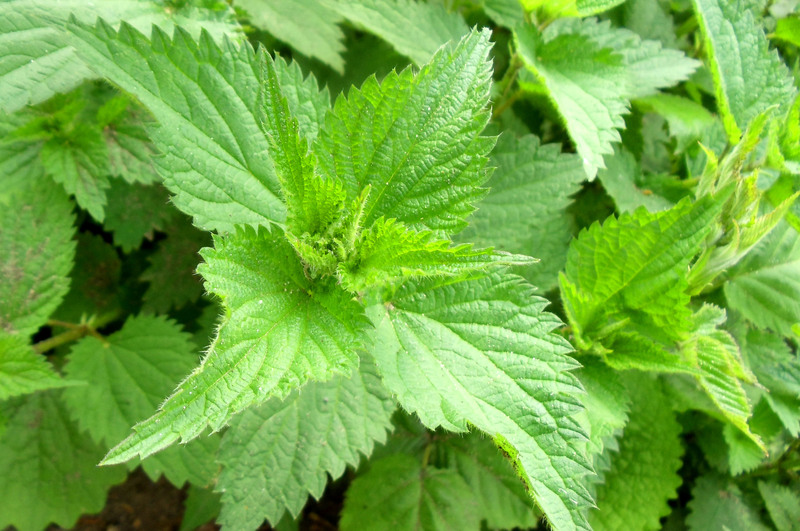 Working on my own personal herbal, I’ve just finished writing up about birch, nettle and oak. I thought I’d start sharing all my research and practical stuff with you, so here is the first “herb” that I chose to start my own materia medica! For our course, we have to choose twelve plants to use medicinally 🙂 I will upload the bibliography for all my research shortly. Sap, leaves, bark & buds. Woodland and heath, moor, parklands and gardens. Copes well in sandy, acidic soil and can handle being near the coast (salt). Native to northern temperate regions as it handles the cold well. Propagation by wind. Deciduous leaves, shield-shaped with jagged edges. White papery bark with horizontal darker stripes and marks. Base of trunk expanded where it meets the ground, compared to the slim rest of the trunk. Male and female catkins – male catkins produce a lot of pollen and cause many allergic reactions. Light “green” smell, leaves and bark taste bitter, sap is sweet. High energy, talkative tree. Used for thousands of years in cold, northern climates in everything from adhesives to wine, baskets, yokes, boats and vinegar. Pioneer species when ice caps retreated 10,000 years ago, growing quickly and falling as it is a soft wood, then fertilizing the ground for other tree species. First letter of Ogham alphabet. One of seven peasant trees in Brehon law. 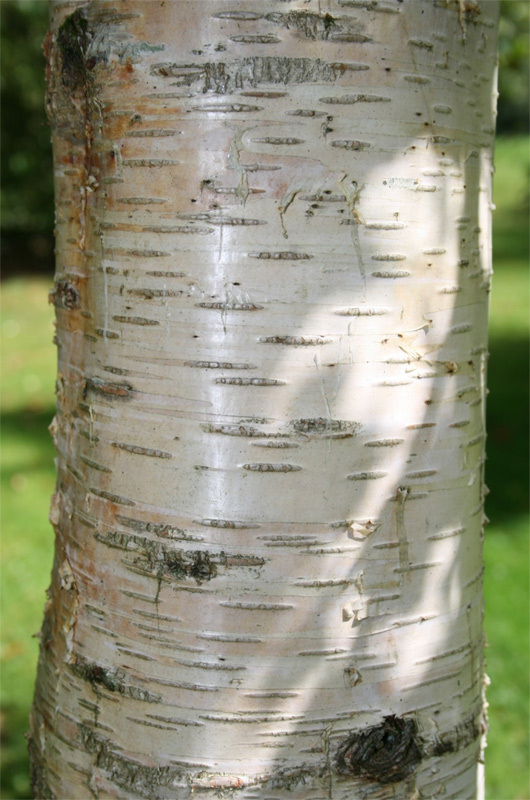 Birch was used throughout Europe at Winter Solstice or New Years to “beat the bounds”. Bride’s doll held a birch wand. Entire birch trees were offered in votive pits in ancient times. Twigs used for brooms (besoms). Considered the World Tree in many cultures. Birch camphor, tannins, triterpine (betulin), flavinoids, saponines, essential oils, mineral salts (calcium oxalate) vitamin C, aromatic hydrocarbons, sucrose. Rich in potassium. Birch sap contains betulinic acid, an anti-tumour cancer treatment. 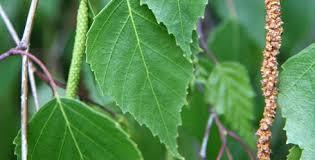 Birch sap is good for kidney or bladder stones, skin conditions and rheumatic diseases. It is also a good spring cleansing tonic and nutritive. Fermented it makes a lovely wine. 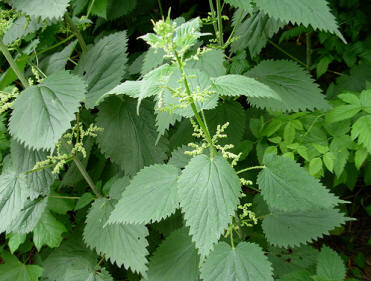 Leaves and leaf buds good as tea for general detox, urinary complaints, cystitis, rheumatic and arthritic conditions, gout. Good diuretic. Astringent qualities and diuretic properties help with skin problems, sore throats and chest congestion when used as inhalation therapy. Effective germicide. Buds can be eaten for stomach complaints. Insect repellent. Use with sodium bicarbonate to improve tea’s ability to cut through high uric acid levels. Oil and tea combine well together. Birch sap tapped straight from tree and drunk as cleansing tonic. Tea to spring cleanse internally, as well as for gout, kidney and bladder stones, cystitis, arthritis, rheumatism, psoriasis, eczema, fluid retention and fevers. Birch leaf oil for topical use for cellulite, detox massage, aching muscles, rheumatism and arthritis, eczema and psoriasis, fibromyalgia. Tea – 4 to 5 leaves per cup or mug boiling water, steeped for 5 to 10 minutes, taken 3 to 4 times per day. Sap – 3 tbsps in morning. Oil – use for massage as needed. New beginnings, adventure, feminine energy, creativity. Leading on with shining light through the dark forest of the soul. Brings hope and courage to discouraging situations. Aids in clear thinking and provides clarity of purpose. Encourages self-discipline and inner authority. Offering of birch wreaths can be made to water spirits to avoid storms or excessive rain. Good cleansing/purifying bath before ritual or mediation. Categories: herbal, materia medica | Tags: arthritis, birch, bladder stones, cellulite, cystitis, detox, eczema, fevers, fibromyalgia, fluid retention, gout, kidney stones, materia medica, psoriasis, rheumatism, tonic | Permalink. 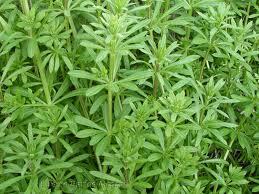 Today I made a tincture with cleavers (Galium aparine), as they don’t dry very well. I may also try making a succus (mix with glycerin or honey) tomorrow to keep the goodness of cleavers throughout the year. I simply put the cleavers in a large-necked jar and covered with alchohol (we had Calvados in the cupboard that no one is drinking). Again, I made sure the jar was very clean beforehand. I’ve left it in a cool, dark cupboard to do its magic, and will shake once a day. I’ll be using this tincture as an all-around health and well-being tonic, for fluid retention, swollen glands and tonsillitis, bladder irritation, weak digestion and low energy (cleavers are amazing for the lymphatic system). I’ll let you know the results in a month’s time! Categories: tincture, tonic | Tags: bladder, bloating, cleavers, digestion, fluid retention, glands, low energy, lymphatic, tincture, tonic, tonsillitis | Permalink.